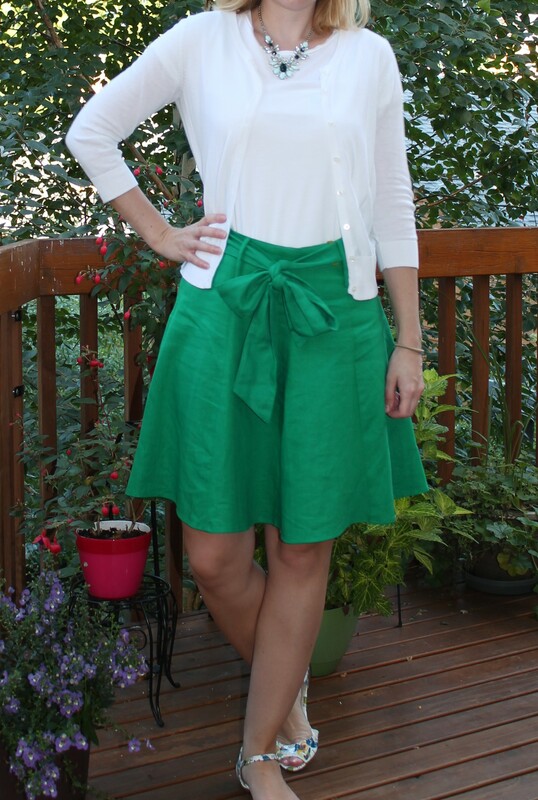 Taking advantage of this heat wave we’re having, I decided to wear a new skirt from Modcloth in a bright green color with a white tee and cardigan. I fear it is the last chance I’ll have to wear it this year, but was lucky I was able to fit it in the rotation. While I love the fit and color of the skirt, I’m not thrilled with the very wrinkle prone fabric which is a blend of linen and polyester. The cute bow won me over in the end.